Job Search One-on-One: An opportunity to meet with an expert librarian to get personal help updating your resume, learning to use the best job hunting sites, understanding how to find information about companies or getting guidance on exploring careers or going to college. If class timing is bad, you can schedule an individual appointment by contacting one of our reference librarians. Target Your Resume: Wondering why your resume isn’t yielding any phone calls or interviews for you? Learn how to fine tune your resume details to match the needs of your prospective employer. Have a human resources professional critique your resume for you. 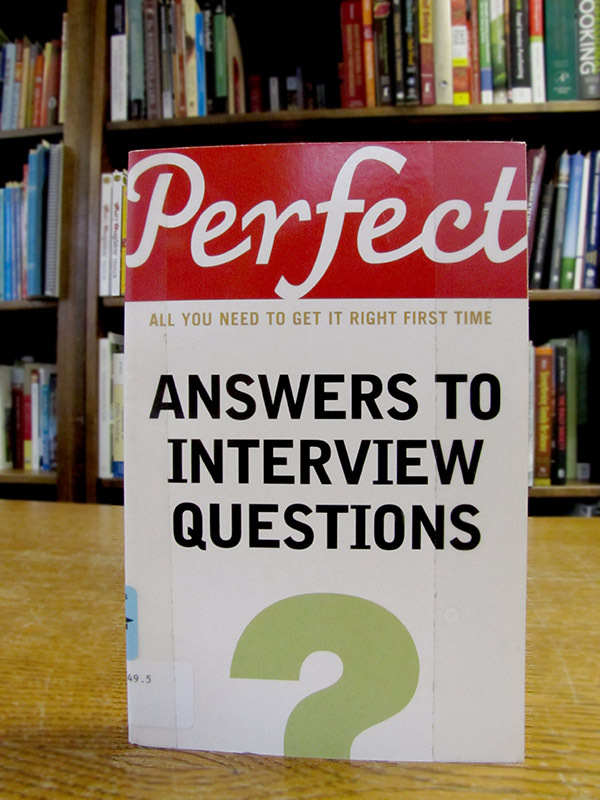 Interviewing Skills Workshop: You never get a second chance to make a first impression! Learn how to put your best foot forward in job interviews and practice interviewing with human resource professionals from Northern Kentucky. Job Research Skills: Finding it difficult to locate available jobs? Learn how to navigate the best Job Search sites available, file a profile at Focus/Career Kentucky and where to look for inside company information. Seasoned experts from the Northern Kentucky Career Center teach this class. Upcoming class schedules are available on the Kenton County Public Library’s web site and do require advance registration. Pick up one of our Job Search Central bookmarks listing all the bestsellers on Job Hunting, Resumes/ Cover Letters and Interviewing at any of our three branches. No two job seekers are alike, so bookmarks help you quickly review and locate the best books available to help you in your situation. KCPL also has career books available in electronic form including Great Resumes by Ron Fry and many career bestsellers, including Acing the Interview by Tony Beshara out on CD. A real goldmine of opportunity lies online at the KCPL web site under the Learning Express software tutorials. Budding graphic artists and creative folks can access free classes to learn how to use Adobe Illustrator and Photoshop. Looking to improve your office skills? MS Outlook and Sharepoint courses are also found at Learning Express. No college student or young professional can survive without learning all the ins and outs of the MS Office Suite of classes. Take all levels of MS Word, Excel, PowerPoint and Access for free. Courses are available for both PC and MAC users. Future web site designers can access both Dreamweaver and Flash. Access to the online classes require your 14 digit card number located on the back of your library card plus your 4 digit PIN. If you know someone struggling to gain computer skills, the library also offers regular live classes for First Time Computer Users plus classes on using Microsoft Office Suite including MS Word, Excel & PowerPoint. Register online to attend any of these classes or call 859-962-4071 . Stopping by one of the three library branches anytime soon? Ask for pre-printed lists of companies located in the Florence, Erlanger and Hebron Industrial Parks. Check out a copy of the 2013 Business Courier Book of Lists for the Greater Cincinnati/Northern KY area and narrow your search for the leading manufacturing, healthcare, legal, accounting, hospitality and technology companies in our area. To begin browsing the KCPL collection, check out our Pinterest Board, too! Stop by the library’s Covington Branch for the Grand Re-Opening on October 26th to preview all our new Job Search Central resources. Save time, save money and get the support you need for your job search at the Kenton County Public Library today!